Zakat al Fitr is a charity given towards the end of Ramadan to the needy. The spirit of this charity is to compensate for any discrepancies that may have occurred while an individual was fasting during the month of Ramadan. The discrepancies can be the bad use of tongue (foul language), rancour or behaviour that takes one away from the station of piety. One of the main purposes of this act of charity is for the impoverished in the society to enjoy the day of Eid and not be worried about their meals. In the subcontinent, Zakat al Fitr is called Sadaqa Fitr. This term is a misnomer as Sadaqa is generally a non obligatory act of charity but Zakat al Fitr is obligatory (Wajib). Furthermore, Sadaqa has no conditions of dispensation where as Zakat does. Broadly speaking the quantity of the charity is equivalent to a double hands full of food, grains, dried fruit per person. In many Muslim countries the Zakat al Fitr rates (based on different types of food items) are announced by the government or religious bodies. 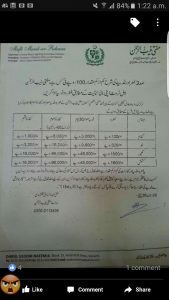 The rates for 2016 by government of Pakistan are shown in the picture (inset). The benchmark for the minimum amount has been established based on the practice of the companions of Prophet Mohammad (PBUH). Note historically, when money did not circulate, grains were commonly distributed (wheat, barley). 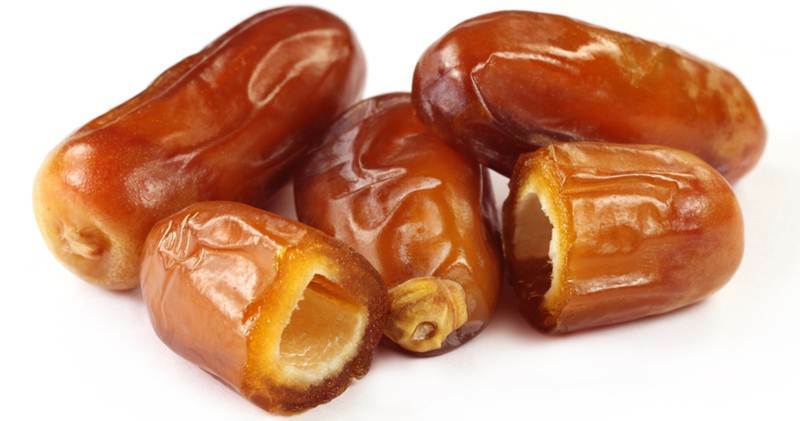 Similarly raisins, dates and cheese have also been traditionally given in lieu of Zakat al Fitr. The prophet Mohammad (PBUH) used to give Zakat al Fitr in raisins, which was at the time one of the priciest food commodities. This points to the fact that we should endeavour to do the best in our capacity and feed the poor with the best possible food. The minimum weight for each commodity has been fixed by scholars based on hadeeth. The hadeeth defines a volume Saa’ that is approximately equal to 3 litres (Double hands full). As density of different food items is different, the total weight for any choice of food item also comes out to be different. More details can be found on this link. For example wheat is given in a quantity of 2.05 Kg person, Barley is given at 1.6 kg. Raisins are given in quantities of 3 kg and Dates at 1.8 kg. Even today, in terms of price, Raisins remains more expensive than dates and barley. There is slight difference of opinion among scholars on the method of payment. While, most scholars allow the payment in the form of money (equivalent value), but followers of the Hanbali Fiqh insist that the Zakat –al Fitr must be given in the form of grains. On the other hand many scholars have mentioned that one can also calculate the Zakat al Fitr based on the value of daily food that is consumed by an individual. It can also be based on the value at which moderate quality food can be purchased from a food outlet. All individuals must strive to do best in their capacity. The minimum rate is nonetheless set only to facilitate the less affluent in the society. This allows most people to participate in this noble act of charity. The payment of Zakat al Fitr becomes obligatory from the sunset of the final day of fast to the time before the Eid prayer. It can be however paid in advance. Many of the companions of the prophet Mohammad (PBUH) used to pay their dues, a few days ahead of Eid. Today, many Muslims scholars agree that Zakat al Fitr can be given even at the start of Ramadan to facilitate the distribution and avoid logistical issues. Zakat al Fitr is obligatory on every Muslim, young or adult that has resources (Nisab) above and beyond their needs. For the young, father is responsible for the payment. If father is deceased, than it becomes responsibility of the grandfather. Note that Zakat al Fitr is not obligatory for a widow. Although it is acceptable that Zakat al Fitr for each household members is paid by head of the family, but it is the responsibility of each individual to ensure that is has been paid. The significance of Zakat al Fitr is immense. It has been narrated in a hadeeth that the our act of fasting during the month of Ramadan remains suspended and doesn’t reach the heavens unless this charity is paid. The spirit of charity as Maulana Tariq Jameel explains is to expunge the disease of thriftiness (Bukhul in Arabic). Just as physical exercise strengthens our muscles builds up our physique, the exercise of charity and in particular Zakat al Fitr helps us to work out against the disease of thriftiness. It has been promised by the lord almighty that best level of heaven (janna firdous) will not be entered by a miserly person. A so Zakat al Fitr is a stepping stone, a basic unit of charity for us to be generous and charitable as it is an act most beloved by the Almighty. Next articleWho is Yasir Qadhi? The spirit of this charity is to compensate for any discrepancies that may have occurred while an individual was fasting during the month of Ramadan. The discrepancies can be bad use or the tongue, rancour or behaviour that takes one away from the station of piety.